High-performance system is designed to offer the best in weight distribution with an easy-to-adjust, forged head; a raised ball platform; and flexible, powder coated steel, trunnion spring bars. Adjustable shank included. Hitch ball sold separately. Lowest Prices for the best weight distribution from Reese. 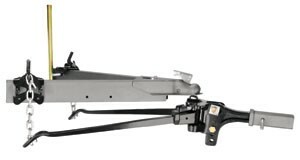 Reese Weight Distribution System w Shank - Trunnion Bar - 12,000 lbs GTW, 1,200 lbs TW part number RP66542 can be ordered online at etrailer.com or call 800-298-8924 for expert service. Today we're going to be reviewing part number RP66542. This is the Reese Weight Distribution System. 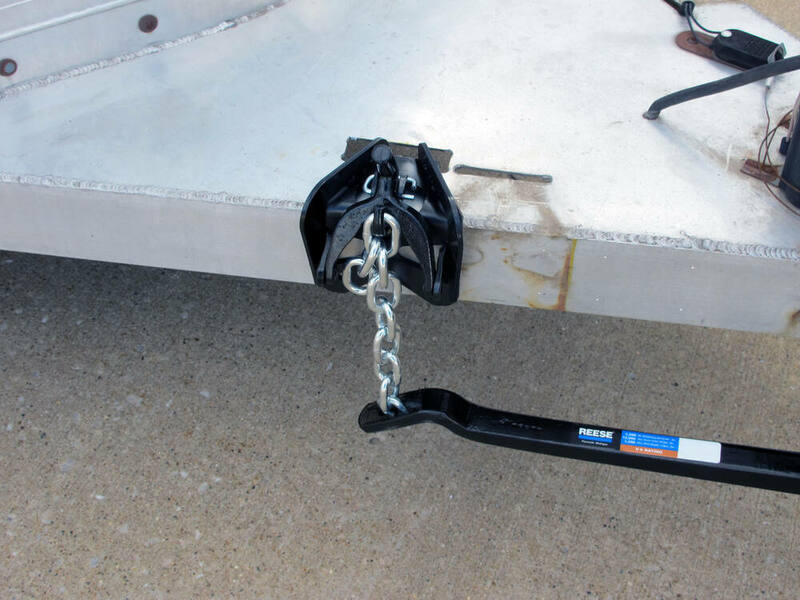 It's going to include a shank as well as the hitch pin and clip to get the shank secured inside of your hitch. 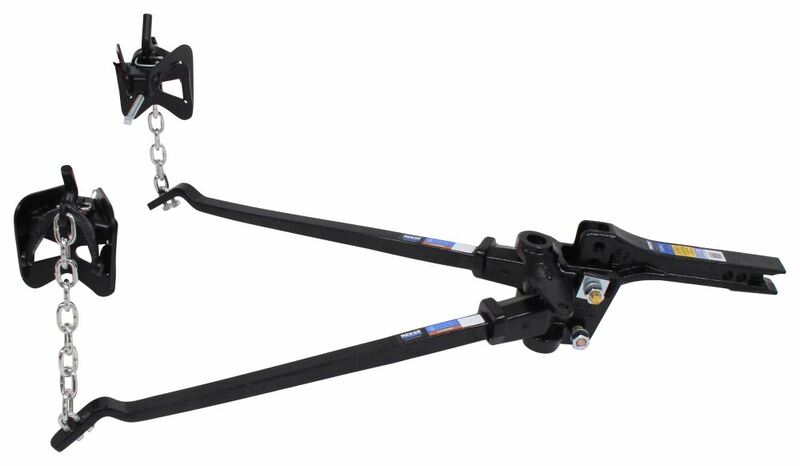 This system is designed to evenly distribute weight over the axles of the tow vehicle and trailer for stability and control. 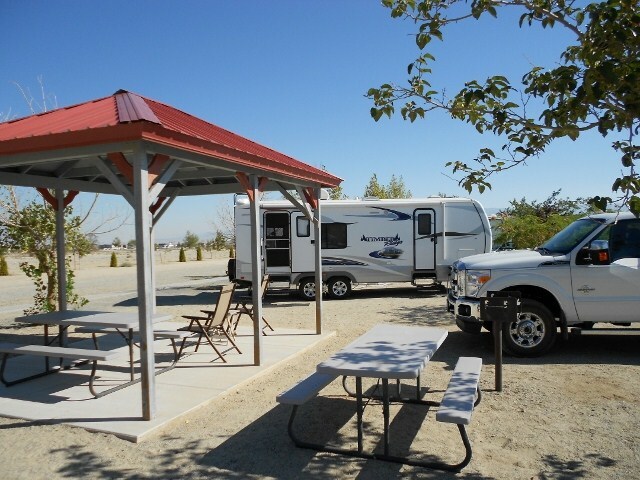 It's going to creates a more level ride for both the tow vehicle and trailer. It's going to feature the trunnion spring bar design, so these are going to be hot rolled and tapered for superior strength and flexibility. The bars will flex appropriately over uneven terrain for a nice controlled, even ride. It's got the curved ends as well that are designed for use with the dual-cam sway control system. 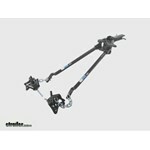 It's going to be sold separately with part number RP26002. 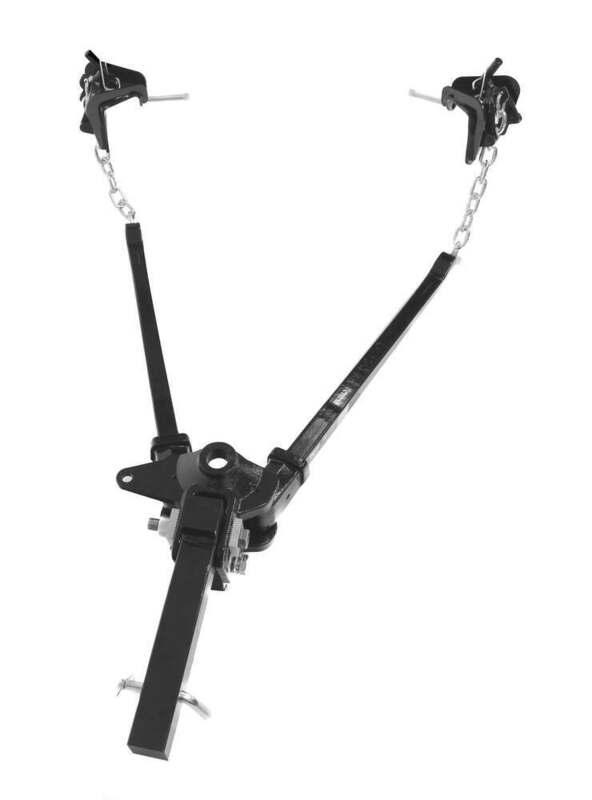 The spring-bar tension can be adjusted, simply by switching the links in the lift chains. That's going to allow you to fine-tune the system for your particular application. You're also going to be able to get the desired tilt that you need, with the serrated-washer design here on the head assembly in the hardware. I'm going to flip it around, let me show you that real quick. You got the two large washers up here. They have teeth on the inside of them. That's going to allow to dig into the teeth of the head of the weight distribution system. 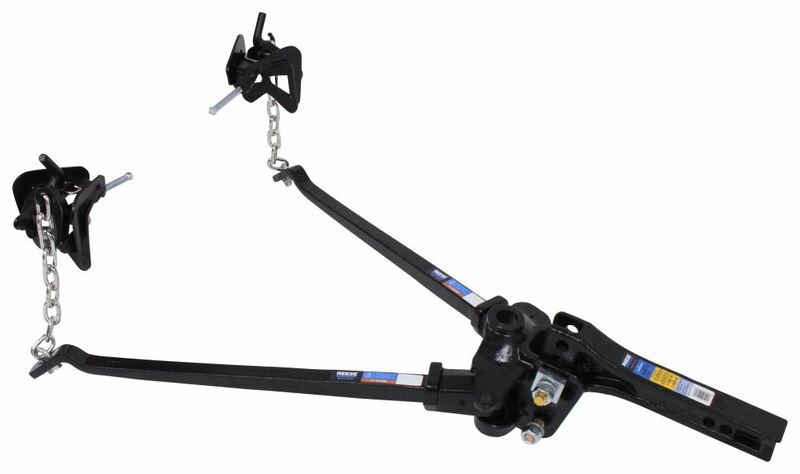 That's going to allow it to tilt, and you're going to be able to get the desired angle for your particular towing application. Then once you got the angle that you need, all you got to do is to tighten up the hardware. Those teeth are going to interlock with one another. It's going to hold it in place. 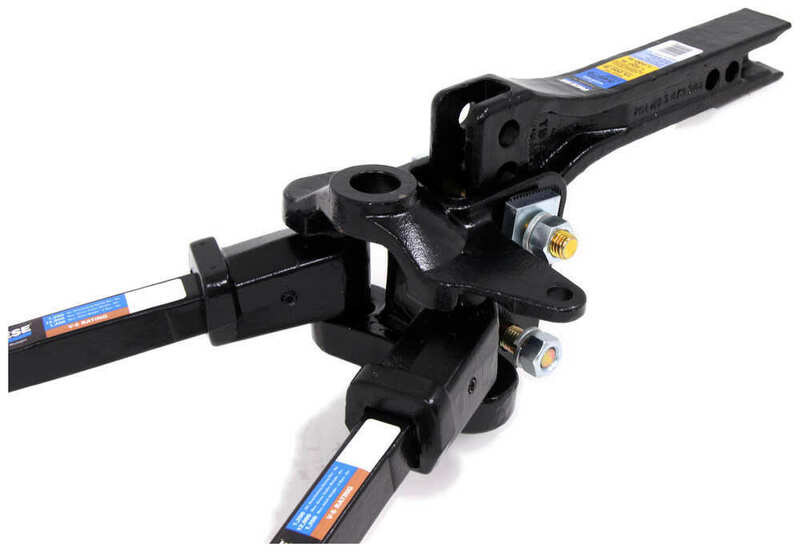 That's going to eliminate the need to having to pile on washer after like washer like you use to have to to get the desired tilt that you need for your particular application. That's a great system to have in place. It's also going to feature the forged, raised ball platform on the head. 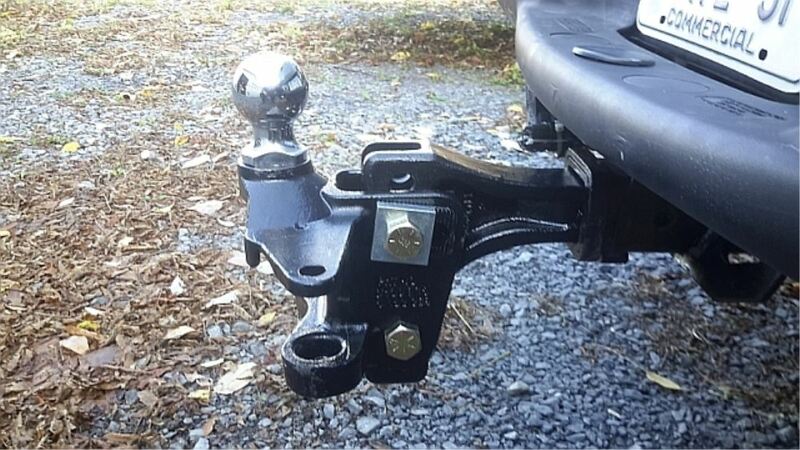 That's going to eliminate the need for a raised hitch ball. It's going to come with that solid steel shank. It's got a nice black powder coat finish to it. It is going to stand up really well against rust and corrosion. It's a solid one piece steel, so there's no welds, no cuts on it. It's going to be very strong and very durable. This system is going to include the head assembly, the adjustable shank. 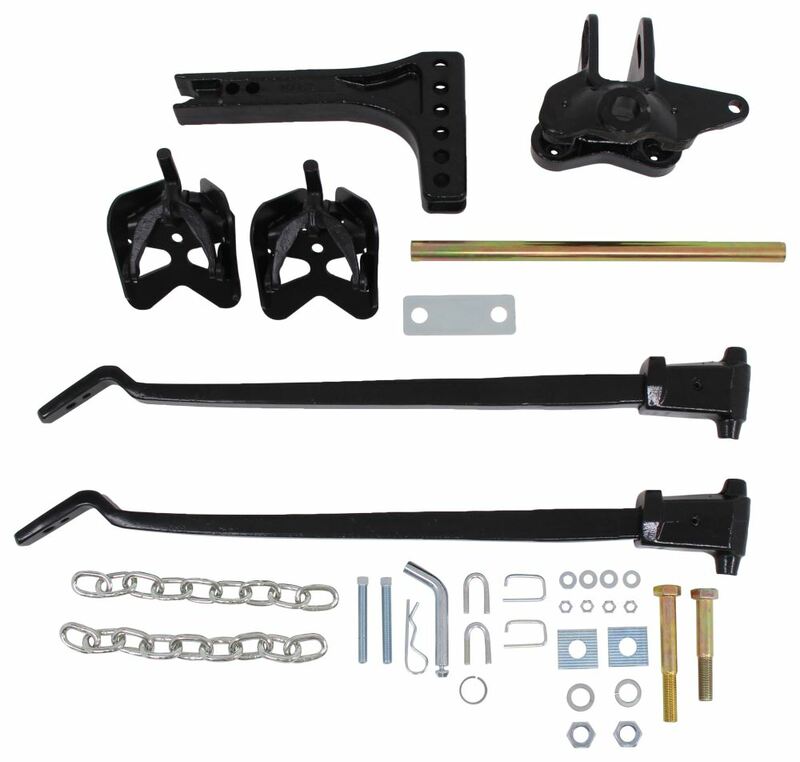 You're going to the lift brackets, you're going to get the trunnion spring bars, the lift chains, all the pins and clips that you need. You're also going to get the sham, you're going to get a hitch ball shank reducer sleeve. You're going to get the snap up handle. Now, when you're setting this up, this portion right here is actually going to be dropped into a lower position. Just like that, it's going to allow you to connect the chains. Now, because of the tension that the chain set, it's really hard sometimes to get that back up in the position by hand. They include this nice snap up handle for leverage. All you got to do is use that, it's going to make that a little bit easier to get back up in the position. 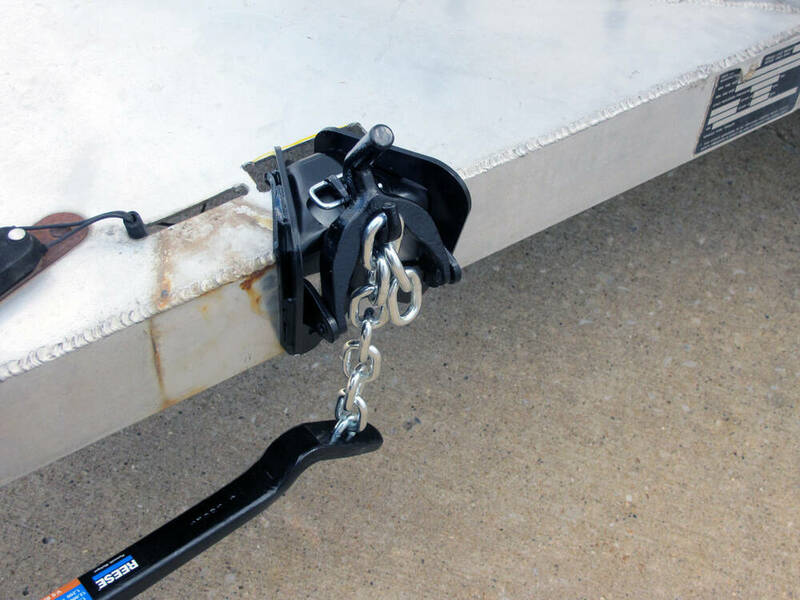 Once you have it up there, you can secure the lift bracket or the chains in place by reinstalling the safety pin in that and that's going to hold the chains up. It's going to keep it from being able to come back down. It is going to require a hitch ball. That's going to be sold separately. In our description you'll see that it requires an 1 1/4" diameter shank. You can also use one with a 1" diameter shank but in that case you will have to use the included reducer sleeve that goes in there. It reduces that hole from 1 1/4" diameter down to a 1" diameter. 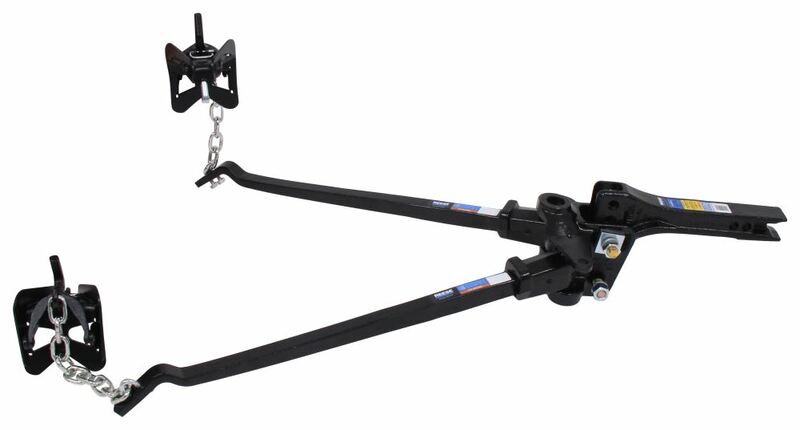 This system is going to offer a tongue weight capacity of 600 lbs to 1,200 lbs with a gross towing weight of 12,000 lbs. 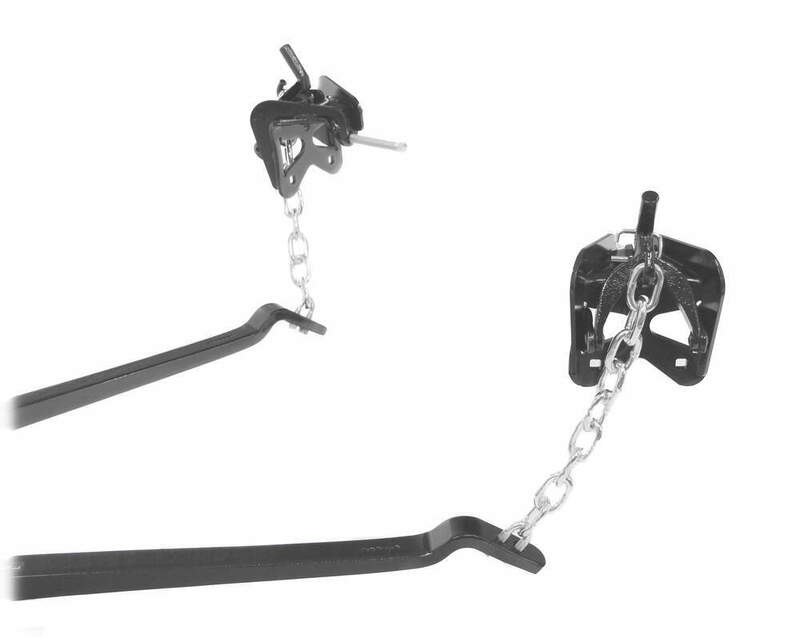 The shank is designed to fit a 2" x 2" trailer hitch receiver, that's rated for use with weight-distribution systems. 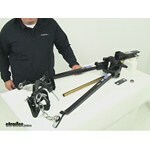 When positioning the lift-bracket, you want to position them about 30" back from the hitch ball. You'll do that measurement on both sides of your trailer frame. That's the location where you're going to mount this. It's got the est bolt on the back so all you got to do is tighten that down. It's going to apply pressure to the inside edge of the trailer frame. Which is going to hold the lift brackets in place. The brackets are going to requires approximately a 5 1/2" of space along the trailer frame. 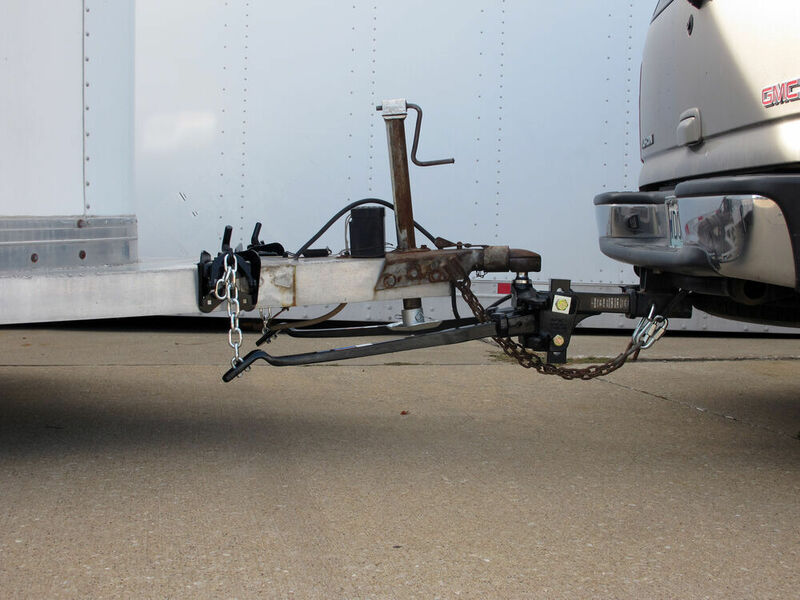 Keep in mind that they will not fit trailer frames wider than 2 1/2". Here at the shank, you're going to have a shank length of about 14". That's from center of hitch pin holes to center where the ball mounts. Here on the shanks, it's going to have multiple hole design. The holes are going to be separated by an 1 1/4". If you look in there, I can count the holes for you real quick. Bringing you 1, 2, 3, 4, 5, 6. The shank is a 6 hole design. Center on center these holes are going to be separated by an 1 1/4". That's going to offer a maximum rise of 6-1/2" or a maximum drop of 1-1/4". It's already have to set in the lowest position. It can be flipped over in using the rise position if you need to for your particular application. I did mention that it comes with the sham, the sham is optional to use. 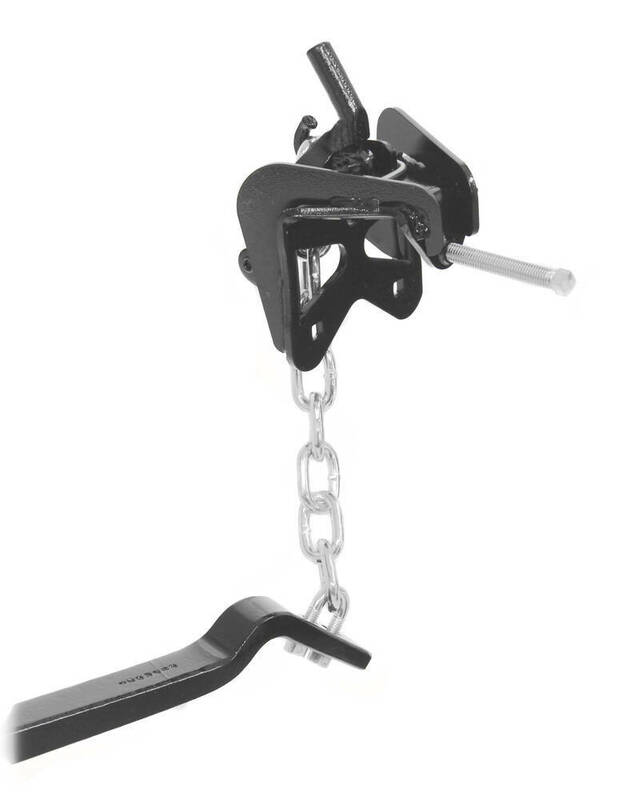 It's originally designed to take out any gap that you have between the shank and the bracket face here on the weight distribution head. You can slide that in there, the holes are going to line up with the big bolts. That way it's just going to take out any gap or any slack that you may have. 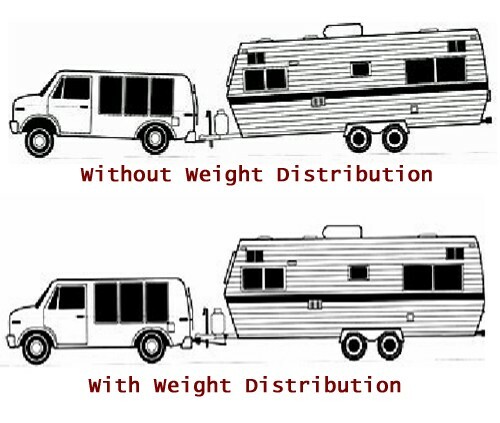 Now, when it comes to selecting the weight distribution system. You want to be sure that you select the one that's going to be appropriate for your application. 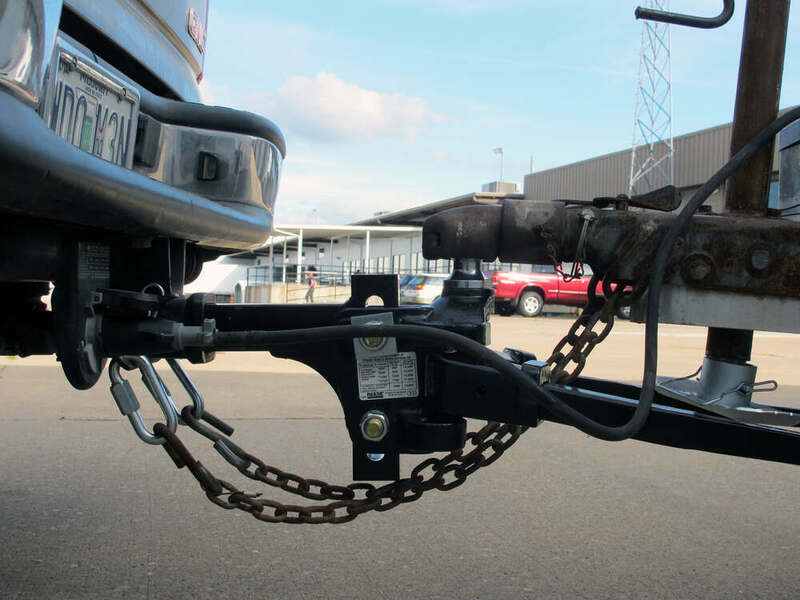 To determine the proper weight rating for a weight-distribution system, you must first determine your trailer's tongue weight. That's going to be an important factor. 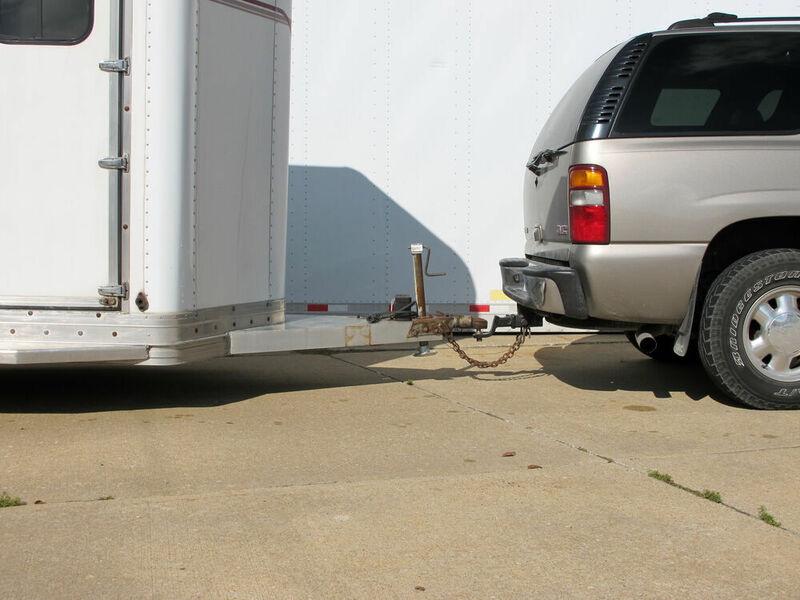 Then you'll add to that the weight of the cargo behind the rear axle of your tow vehicle. Combine those two measurements, that's going to make up the tongue weight rating for a weight-distribution system. It's going to help guide your decision and make that a little bit easier. Everything is a solid steel construction. It has a really nice black powder coat finish on it. The entire unit is going to stand up really well against rust and corrossion. Providing a pretty long life. You're going to get many years of use out of this system. That's going to do it for our review of part number RP66542. This is the Reese Weight Distribution System including the shank and all the hardware that you need. .
Order: RelevanceNewestRating - High to LowRating - Low to High High-performance system is designed to offer the best in weight distribution with an easy-to-adjust, forged head; a raised ball platform; and flexible, powder coated steel, trunnion spring bars. Adjustable shank included. Hitch ball sold separately. Holds a load very well and keeps my truck on track going down the road! 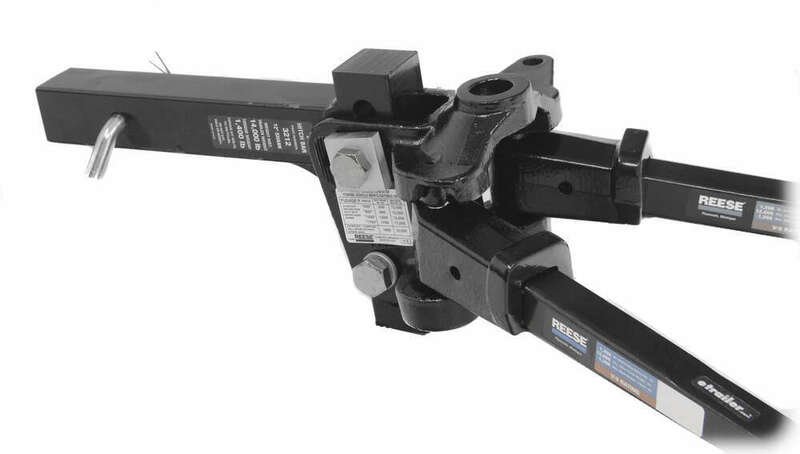 The Reese weight distribution system # RP66542 uses 3/4 inch bolts to hold the head to the shank. The instructions, linked for reference, state the torque rating. The instructions that are linked are always going to be the most updated version so even if the manufacturer changes something in them you will still be able to see the latest version using that link. Torque specs are currently on page 2 of the linked instructions. 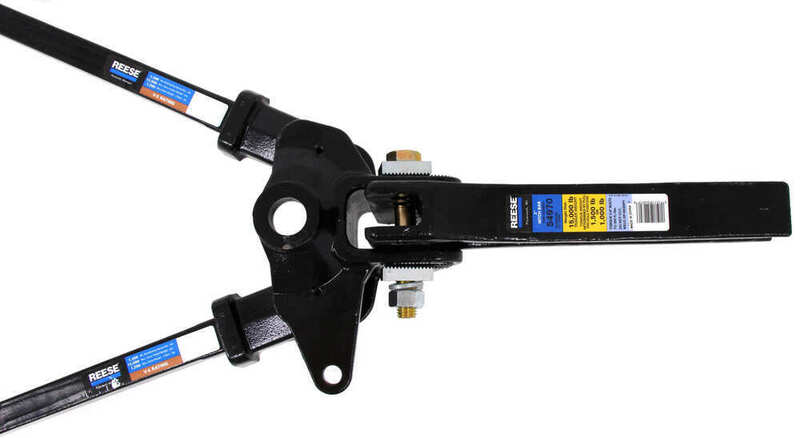 If you have a Reese weight distribution system that fit a 2 inch hitch you can easily swap out just the shank of it and it will be able to install in your new 2-1/2 inch hitch. For that we have the part # RP54976 which can do up to a 1-1/4 inch drop or the part # RP54977 which can do up to a 5-3/4 inch drop. 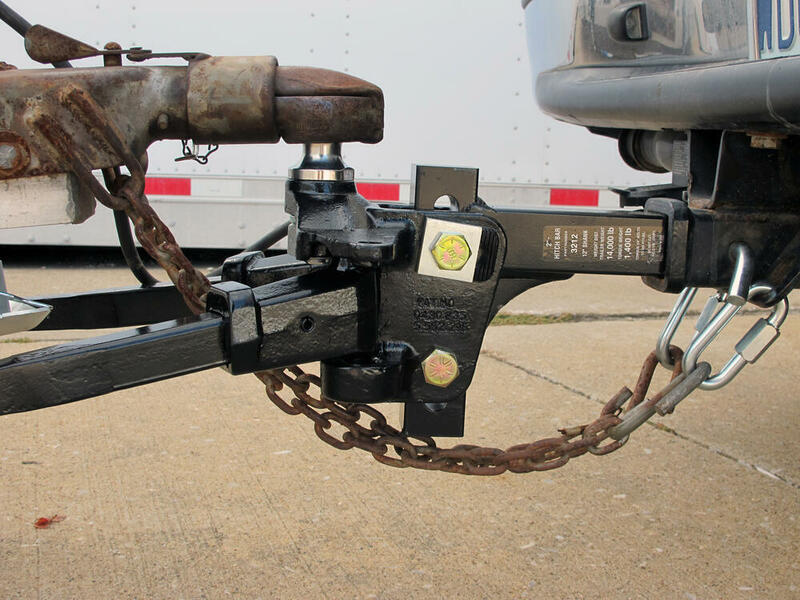 Will a Weight Distribution System Help Stop Sagging?